Buy one if you're nasty and you know it. 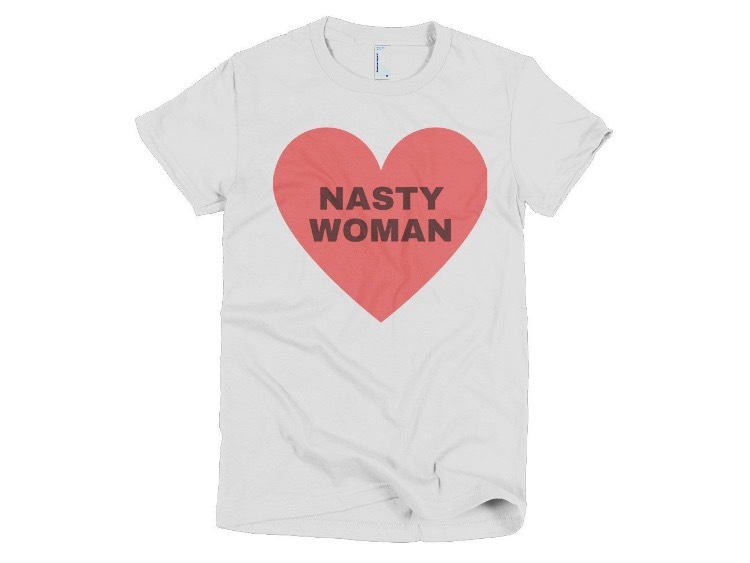 Less than 24 hours later, "Nasty Woman" T-shirts are springing up everywhere, including these lovely ones from Google Ghost, which are donating 50 percent of their proceeds to Planned Parenthood. T-shirts are $25 and can be purchased online here.